Last year was a crazy year for me. I was busy from start to finish and by the end felt completely exhausted. As a result updating this blog slipped lower and lower on my list of priorities. I knew this was happening back in April and wrote that I would be slowing down with blog updates but over the last six months I haven't just slowed down but completely ground to a halt. 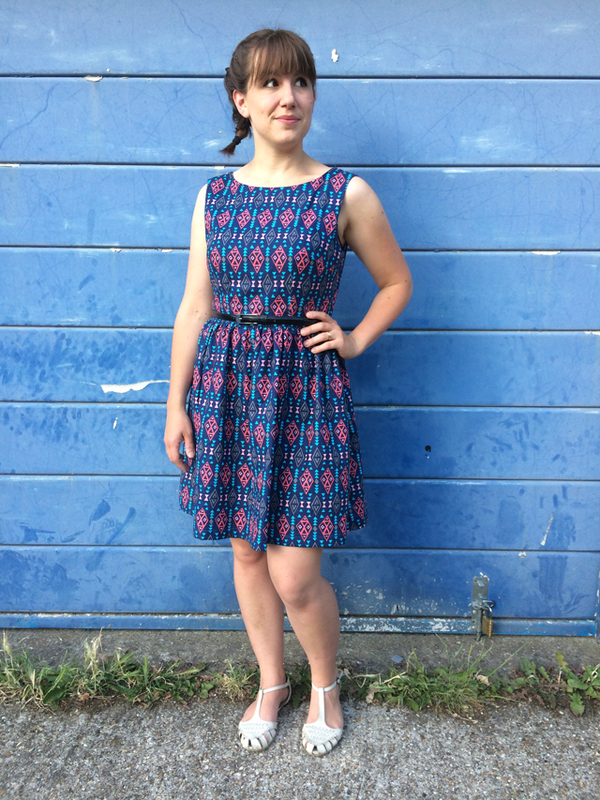 So I thought I would share a quick update about what I have been up to since making this dress (which is so far my favourite ever make). 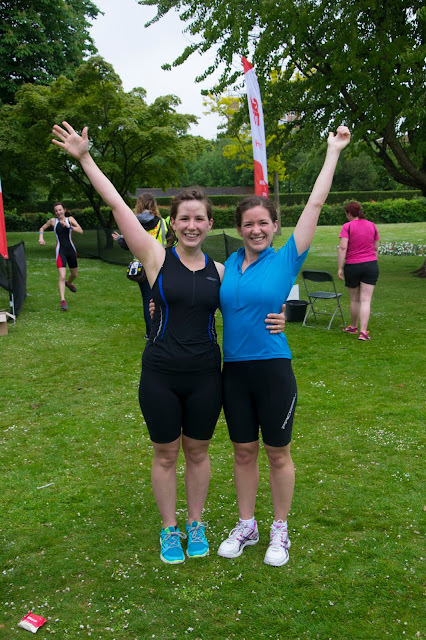 In the summer my friend Miriam and I entered a mini and then a sprint triathlon. This was unexpected for me as I was very unfit and if you had told me this time last year then I would have called you a liar. But I really enjoyed the challenge and the impact that getting fit had on everything- sleeping better, eating better, feeling more full of energy, achieving goals- the list goes on and on. If you have never signed up for an event I really recommend it, start with a 5k run or a local bikathon and see how much better the training makes you feel. I sound like an annoying fitness nut don't I? Well whatever, it's true! This of course was a big drain on my time and probably made the biggest impact on this here blog. I am already planning an olympic distance tri for 2016 so I can't see this changing dramatically in the upcoming months. After transforming into a fitness nut (well not quite, I still eat loads of chocolate, sweets and baked goods and can zip through a box set on TV faster than you can say 'bunch of munch crunchy stuff') I thought it would be fun to make myself some cycling and running clothes. 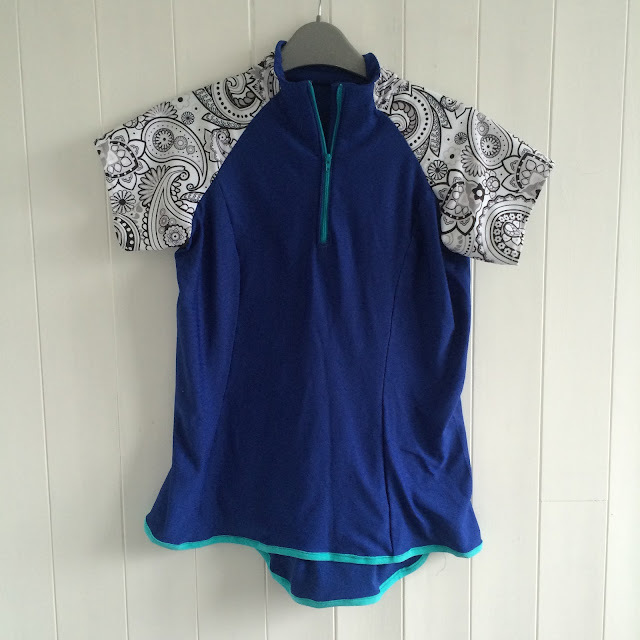 I promptly bought myself the 'surf to summit' pattern from Fehr Trade and made a summer cycle jersey and a winter half zip top. These were very challenging and pushed my skills to a new level so they are far from perfect but I am really proud of them. The one pictured is the cycling jersey as the winter top isn't quite complete yet. I might do a post on these two tops but don't hold your breath as I am not sure they are quite up to standard. I then spent November and December working 2 jobs and didn't have any extra time to sew anything at all. So not a lot of sewing time left (or energy to do it either) and I didn't even make any christmas decorations or gifts this year. So that is a short a sweet summary of the last 6 months. This month I am going to be decorating our house, well the downstairs any way. I could show you a few pictures of this if you like? Let me know in the comments if you do. Then I hope to fit in some more sewing time starting with quilts for my children. When the warmer weather comes I expect I'll be making more clothes- these are MUCH more fun to make than the winter warmers right? I hope to update Tadpegs a little more regularly so thanks for sticking with me. Now I know what you're thinking, 'it's still August so Summer isn't over yet!' and I 100% agree. However when you sew most of your own clothes you have to think ahead. If I want my warm clothes to be ready for the cold weather I need to get my skates on and start sewing them soon. So I thought I would share with you a few things I am thinking about making for this coming winter. As I have said before, I am not going to make things just for the sake of having something to make. I don't want to waste time or money on clothes unless I actually need them. 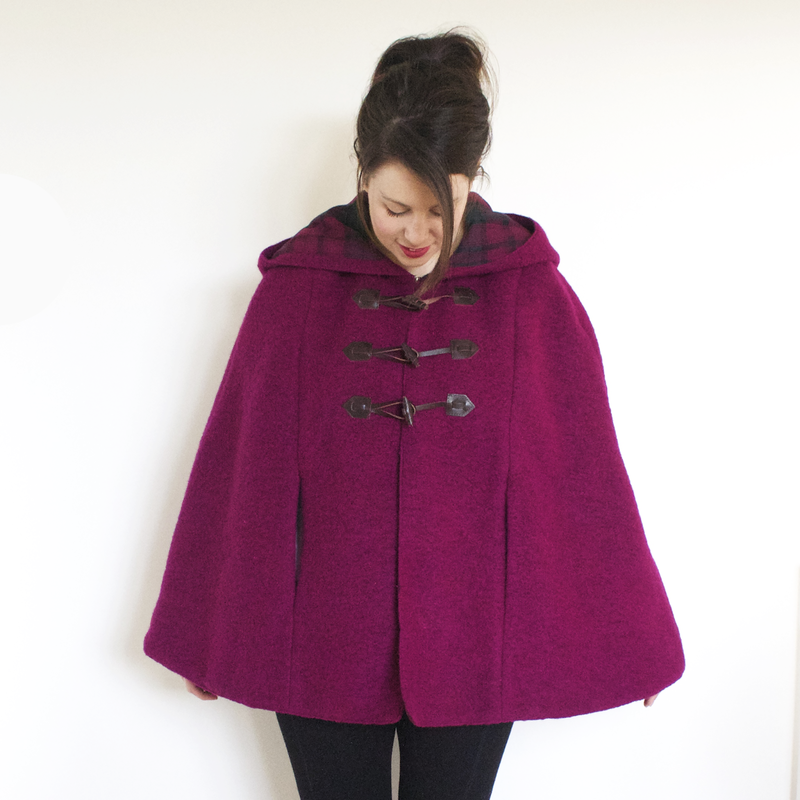 That said I've wanted to make a coat for a while even though I probably have enough coats so you never know! Plus isn't the styling in this photo just the cutest? I am currently undecided between these two patterns and probably wouldn't invest in both in one season. The jeans would be easier to wear and more of a fun sewing challenge but the ultimate trousers are available in a printed pattern, would be easier to make and would definitely help me get my vintage on. What do you think? My favourite thing about winter wear is wrapping up all warm in layer upon layer of knits. So Snuggly. Problem is - I can't knit. There are a few options open to us non-knitting folk. 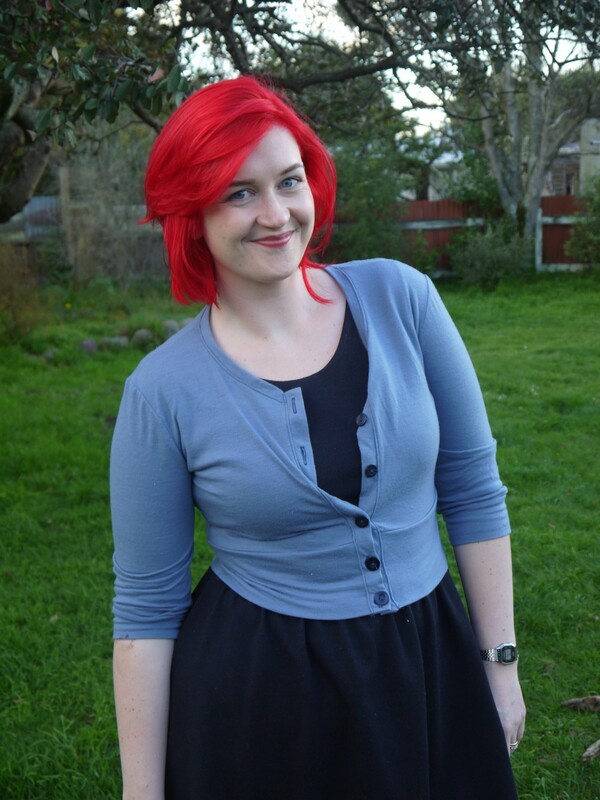 The above is Curvy-Sewing-Collectives version of the Jenna Cardigan by Muse Patterns. I am very tempted by this pattern. It has lots of different options for lengths and sleeves so is a pretty versatile pattern and I know I would get lots of wear out of it- especially in Autumn and Winter. I would love to find a pattern somewhere for a big slouchy cardigan too for when the extra cold weather comes- any ideas? I am yet to find one I like though, maybe I'll just have to learn to knit?!? 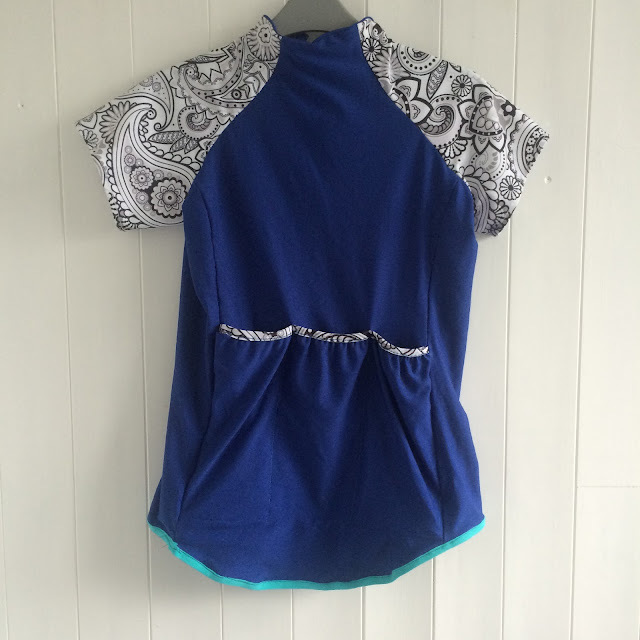 Super warm and a fun sewing challenge. My biggest concern about this coat though is that I haven't sewn with thicker fabrics like the wools you really need for this type of coat, and they are quite expensive so I would be extremely nervous that I would waste it all on a failed attempt. Eeek. I can just imagine wearing a nice thick knit dress made from this pattern in the autumn and then layering up the bodysuit version in the winter with a cardigan and coat. This pattern is pretty much at the top of my list so there isn't much of a question here. 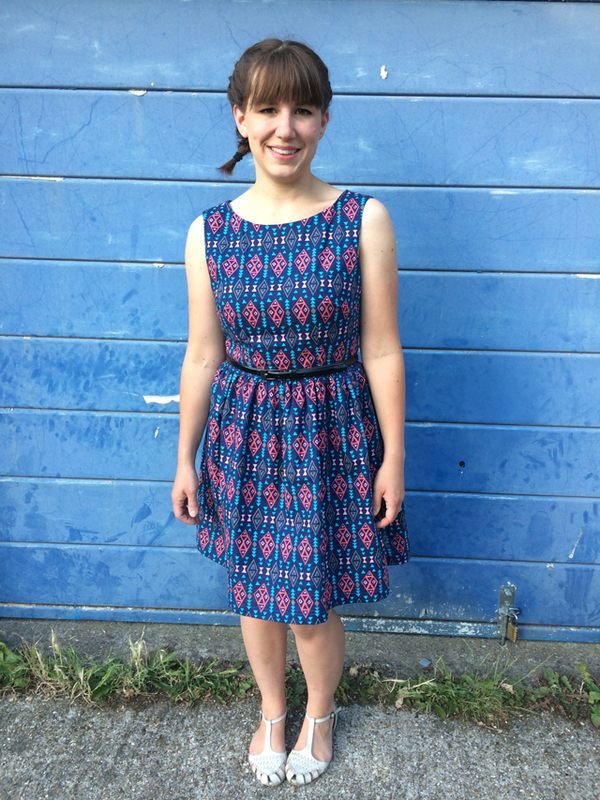 I am not short of dresses at the moment though so I don't think I'll be buying any other dress patterns for a bit. In terms of other tops I'd like to make myself another caroline shirt, possibly a dark wash chambray and another tartan one? Finally for skirts, I think its unlikely I'll buy any new skirts patterns this year. In the Autumn winter I think I would like to make another pencil skirt, (possibly in houndstooth) and I have the Charlotte skirt pattern from By Hand London for that. 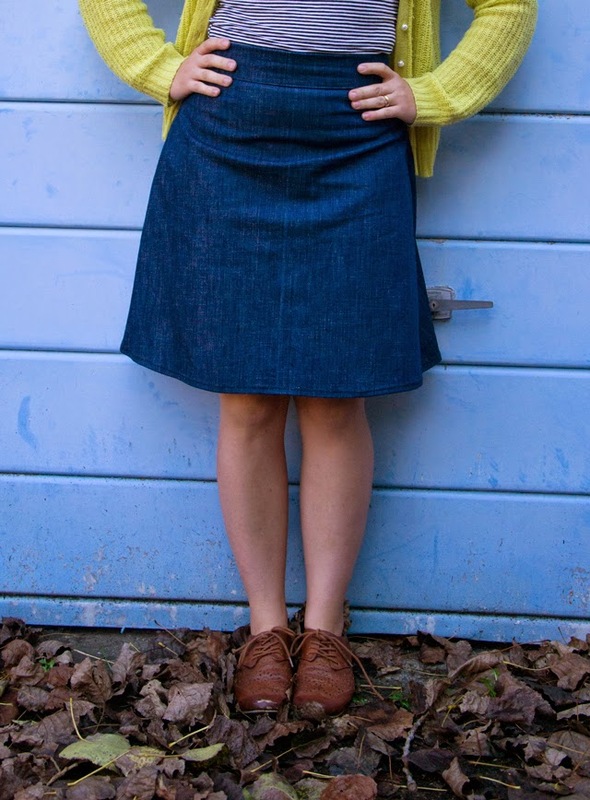 I also have a very large ladies leather jacket that I am going to try and make into an A-line skirt using the Delphine pattern from Love At First Stitch (From Tilly and the Buttons). I find these more structured skirts are much easier to wear when the wind is a-howling! Hold the phone, stop the bus and start a newsflash! 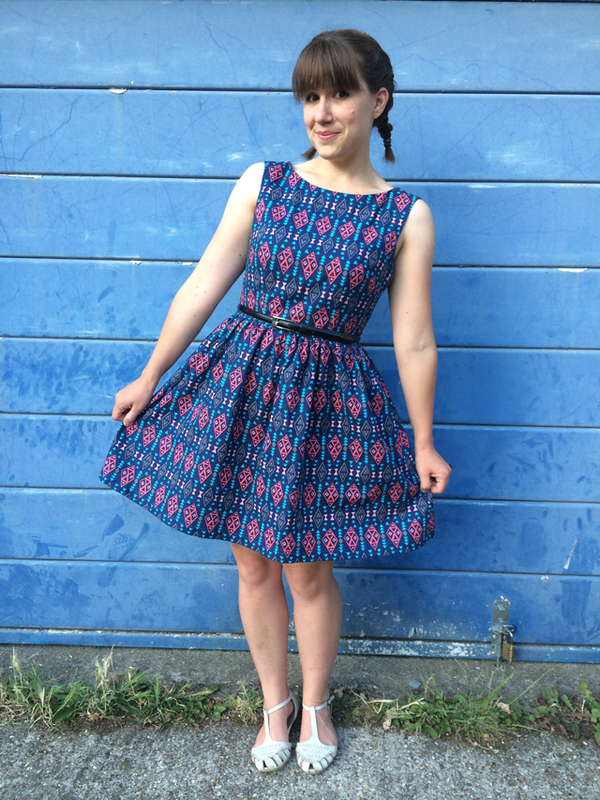 It's an Emery dress! I think I have seen more Emery dresses, or variations of, than any other pattern so this isn't really newsworthy stuff here. However I think I made the best one. At least its my personal favourite. Since this is one of the only two I can actually wear I think thats perfect. I am delighted with the finished item. 1. The fabric! When I saw this fabric at Guthrie&Ghani I couldn't leave it in the (online) shop. I think it is beautiful and the colours are basically my chosen colour palette all in one fabric. In real life the print is just as gorgeous and really suits my style. 2. The fit is almost perfect, I've made one other Emery dress and the fit seemed pretty good so I didn't make any changes. I was actually planning to make some this time having not really done any alterations before (and I wanted to try it out) but it turns out, at least for this pattern, I don't really need to. 3. The dress pattern is really lovely. 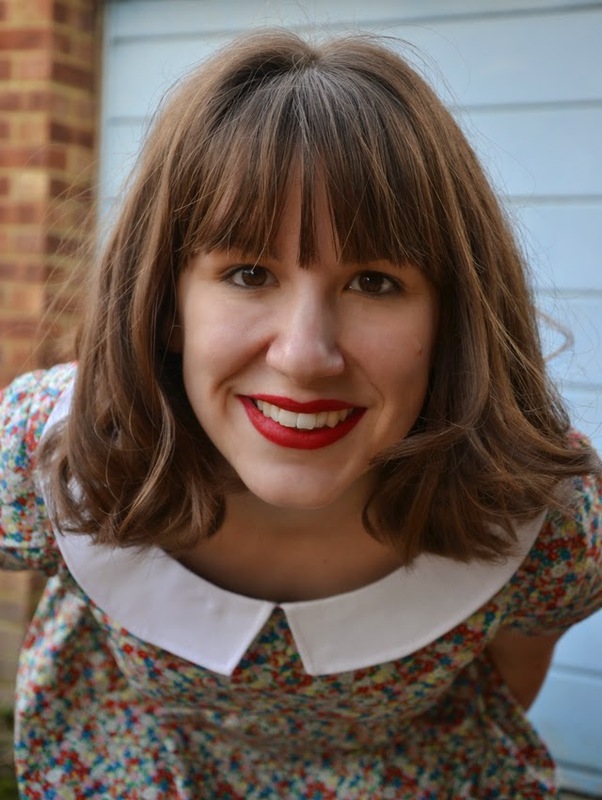 I can see why this dress is one of the most popular patterns for the last few years on the blogosphere, its simple, elegant and flattering without being overly dressy. 4. It is very wearable and fills (or starts to fill) the 'I need a few more casual(ish) dresses' gap in my wardrobe. This was something I identified during Me-Made-May and I know some people wouldn't describe this as casual however I would definitely wear it on the school run (and have) so I give it the casual seal of approval. 1. While I absolutely LOVE the design of the fabric, its a little bit itchy. This may be in part because I've worn it during the hottest week I can remember living through but even when its a little cooler its still just a teensy bit itchy. Nothing so bad that I won't wear it, and even if I had felt this fabric before buying I love the print so much that I would have bought it any way because, well - did I mention I love the print? But its not quite as soft as I expected. 2. The general fit is great but the armholes are quite low under my arms. I guess I didn't notice this on my first one because it has sleeves but I'll probably try and change this next time. 3. I'd use a longer zip. 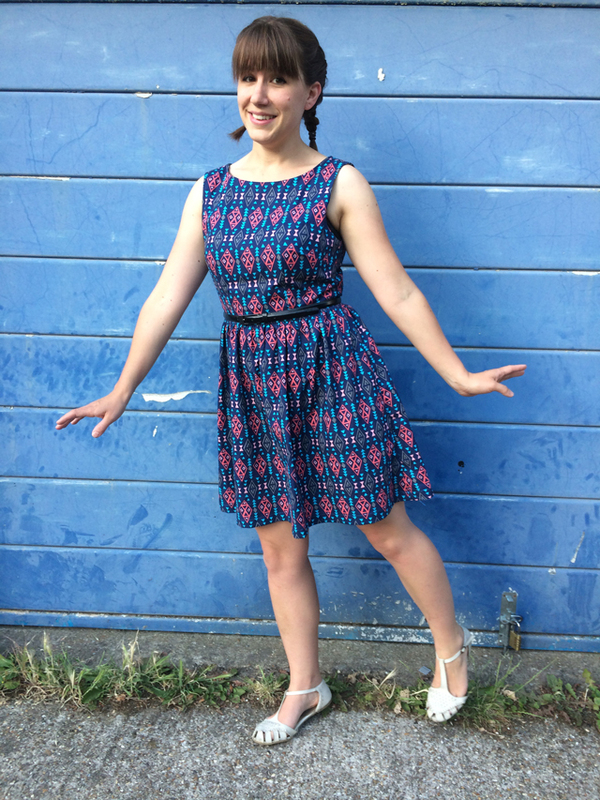 I really wanted to try and make a whole dress without looking at the instruction (and I did) so was pretty proud when it was finished, but after I had already inserted the zip I realised it was not the right length so I have to perform some pretty funky looking acrobatics to actually put it on. My daughter actually said to me when I first tried it - 'Mummy I think you have made it too small.' Well I proved her wrong - but it wasn't easy. Next time looking at the instructions just for this detail would totally be Ok with me.